Neil B. Zusman was born in Detroit, Michigan in 1958. Early on, he knew he wanted to be an eye physician due to the positive influence of his optometrist father. His interests include small incision cataract and lens implant surgery under topical anesthesia, eyelid surgery, glaucoma, macular degeneration, diabetic eye disease, ocular infections and certain laser procedures. 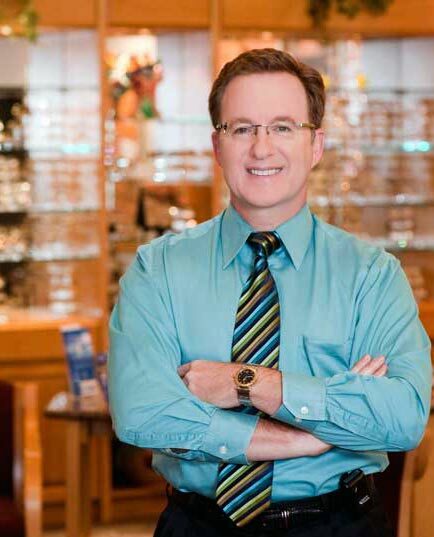 Dr. Zusman is Board Certified in Ophthalmology and has been serving the residents of Charlotte County since 1988. Dr. Zusman’s hobbies include spending time in the gym, travel, and sports. For years, he was the team eye consultant for the Texas Rangers during spring training. Currently, he is the team ophthalmology consultant for the Tampa Rays organization and Team Eye Physician for the Charlotte Stone Crabs. He is married to his high school sweetheart, Amy. They feel fortunate to reside in Charlotte County, where they enjoyed raising their three children. Modern Technology Allows Correction of Cataract and Astigmatism Simultaneously!